Lightweight and powerful Aquamira Chlorine Dioxide Water Treatment in an easy to use solid tablet. Treat 1 L per tablet and store the rest in the resealable foil pouch. Aquamira tablets meet EPA water purification standards making it the safest, most-effective treatment option on the market. 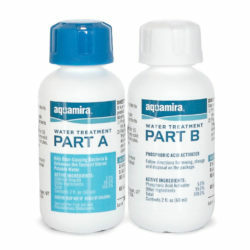 Lightweight but powerful, Aquamira Water Purifier Tablets provide all the benefits of liquid chlorine dioxide in an easy-to-use solid format. Each tablet purifies one liter (32 oz.) of water and is sealed in a foil pouch for easy, lightweight storage. Drop one tablet into one liter of water and wait the required time for purified water. 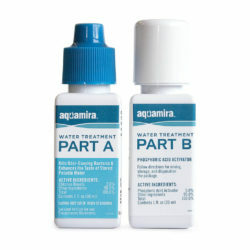 When used as directed, Aquamira Water Purifier Tablets meet the EPA guidelines for Microbiological Water Purifiers making it the safest solution on the market. 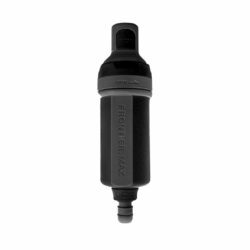 Sized for longer hiking, camping, or hunting trips, the 20 pack is all you need to purify water for up to 5 days. (based on 4 Liters of water/day consumption). Aquamira Water Purifier Tablets will not discolor water and will actually improve the taste of treated water. "Chlorine dioxide is generated when the Aquamira® Water Purifier Tablets come in contact with water. Chlorine dioxide is iodine and chlorine free. The unique formula works by releasing nascent oxygen, a highly active form of oxygen, which is a strong oxidant and a powerful germicidal agent. Chlorine dioxide has been used by municipal water treatment plants to kill a variety of waterborne pathogens since the late 1940s. Unlike free chlorine (familiar as household bleach) or other halogen chemicals (such as iodine), chlorine dioxide does not create potentially harmful by-products. Aquamira’s key benefits are clearly evident when compared to the other common portable water treatment chemicals such as iodine. Chlorine dioxide is a significantly stronger oxidant than iodine, with greater pathogen killing power. Unlike iodine, chlorine dioxide kills protozoan cysts such as Cryptosporidium and Giardia which are responsible for over 80% of waterborne illnesses. Chlorine Dioxide does not discolor water, nor does it give water an unpleasant taste. In fact, chlorine dioxide is often used to improve the taste of water by neutralizing unpleasant flavors."